Thomas Cartier was an excellent sculptor working in the early 1900s. He is best known for his sculptures of Lions, Tigers, Panthers and other big cats. Many of these were incorporated into decorative objects such as clocks. This powerful model shows a proud Lion posed on a rocky base with his head and tail up. 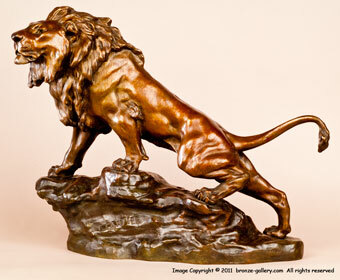 The Lion is well sculpted with a full mane, the bronze has an interesting two color patina with the base done in brown and the Lion in a golden brown. 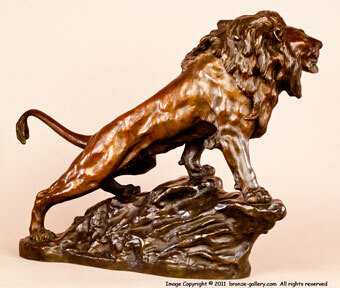 An impressive large bronze Lion that would be a focal point of any room. A true King of Beasts done in bronze. 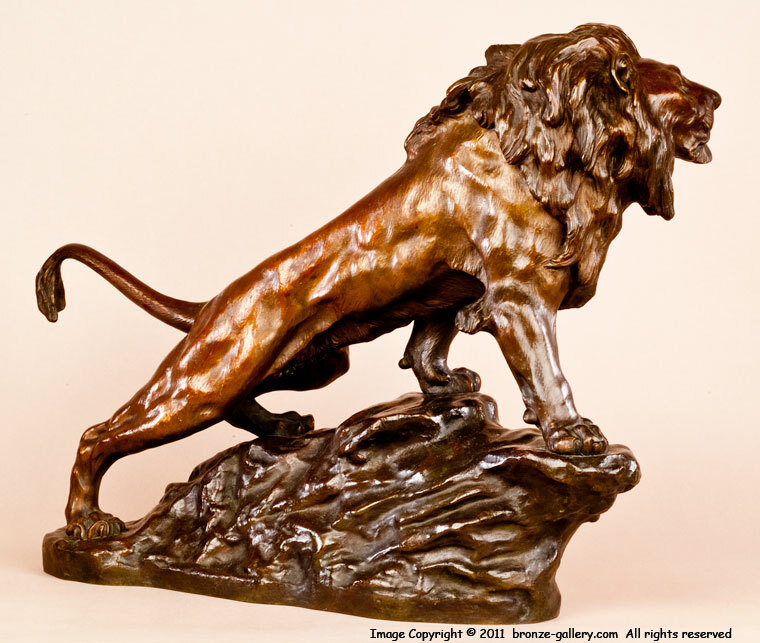 Many of Cartier's sculptures were cast in white metal but this one is definitely a bronze cast dating from about 1905. This model is illustrated in Payne's book Animals in Bronze on page 125.